For technology managers and financial managers, a good IT strategy will deliver competitive advantage, rather than just being a major cost. Printing within the IT function takes up a huge amount of human resources, as it is relevant to everyone. 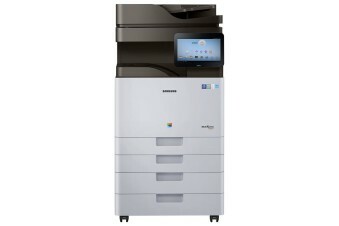 Installing the best-in-market office multi-function printers and photocopiers will actually enhance office efficiency, people productivity and the environment, without blowing the IT budget. 90% of organisations do not know the true cost of printing. 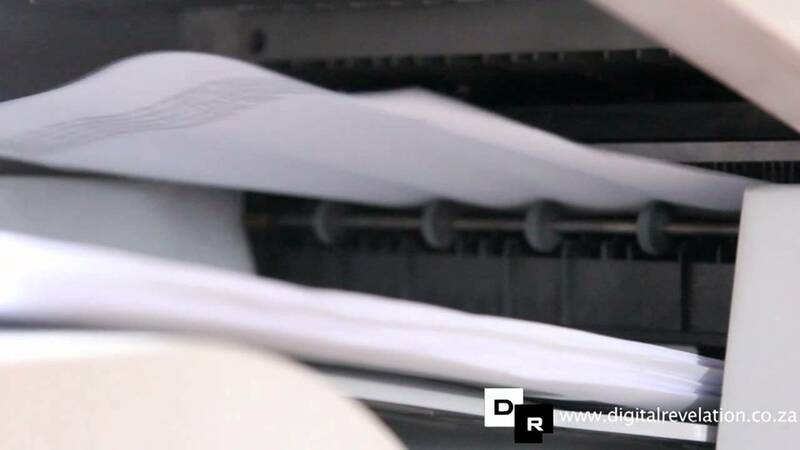 So what are the hidden costs of a printer or photocopier? – Loss of productivity due to poor usability. Often companies have built up a suite of printers and photocopiers dotted around the office, which can be more than is actually needed! 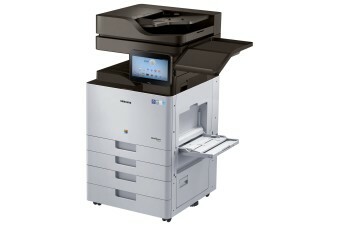 The latest technology can deliver faster print and scan rates due to new bigger processors. Cutting edge machines can scan up to 4 images per second. Digital archiving and large photocopying jobs can be brought back in-house. So think about upgrading to the latest high performance printer, and decrease the number of machines in the office to save costs and boost productivity. 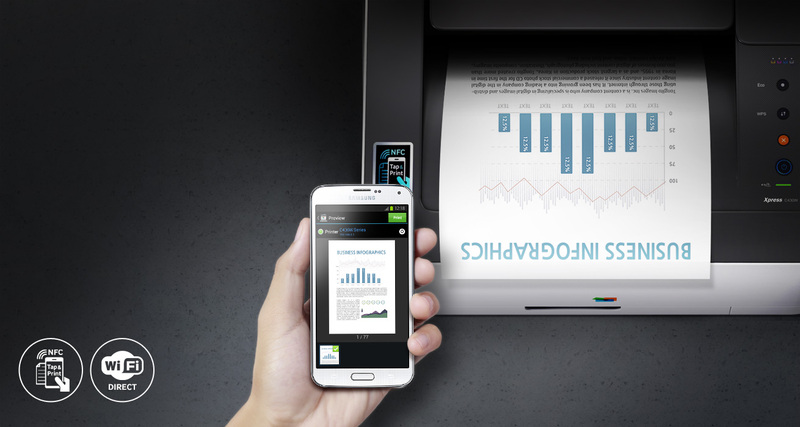 In printing, the latest developments in the area of mobile technology use NFC technology, which is best known for it’s use in contactless payments. 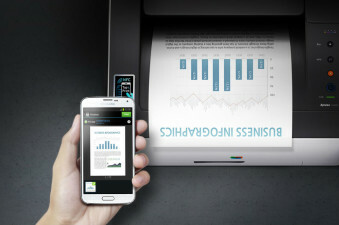 NFC technology can also be used to allow people to print from their phones and tablets, but the real benefit of the technology is instant, secure connection and authentication. This allows users to instantly authorise the release of documents held in a print queue. 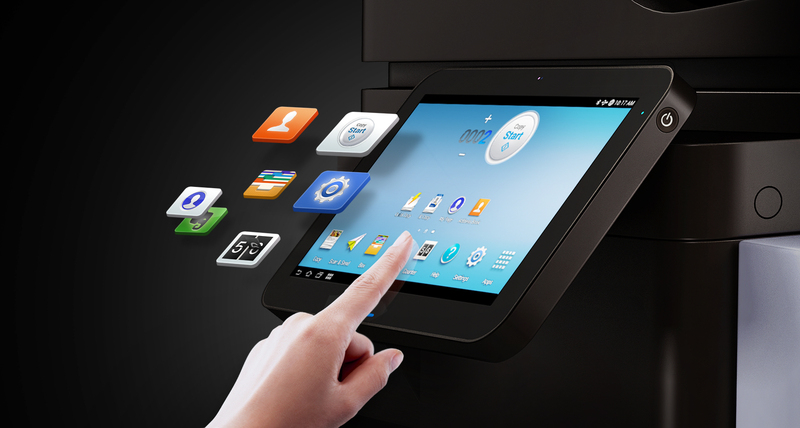 IT managers can configure printers from their device, and with device cloning, do this in seconds. 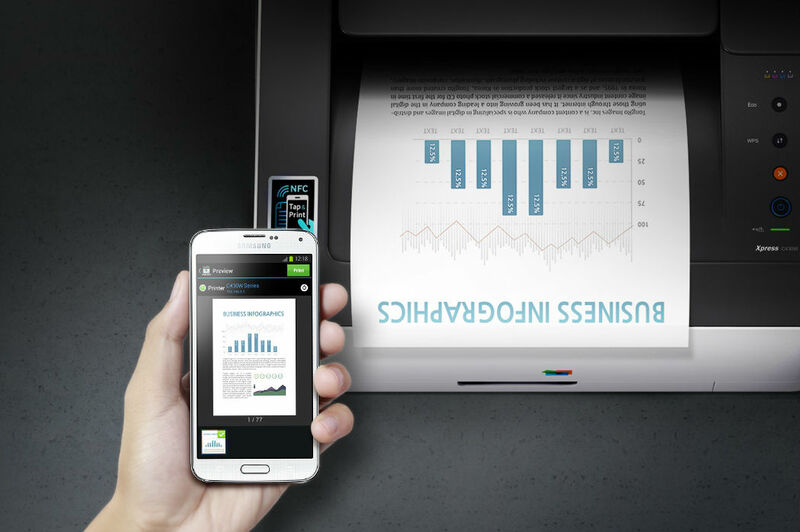 With the revolution of ‘Bring Your Own Mobile Device’ BYOD and NFC technology set to become a standard feature on mobile phones, printers enabled with this technology will enhance productivity without compromising security. Users in an organisation usually only carry out a limited number of functions on the printer or photocopier. When it comes to more complicated tasks, the average user finds the traditional printer interface difficult, therefore wasting paper, toner, their own time and that of the IT person on site. The problem is that the traditional user interface design is based on the 1980’s reprographics specialist printer. The new generation touch screen interface is similar to that of modern mobile phones and tablets. 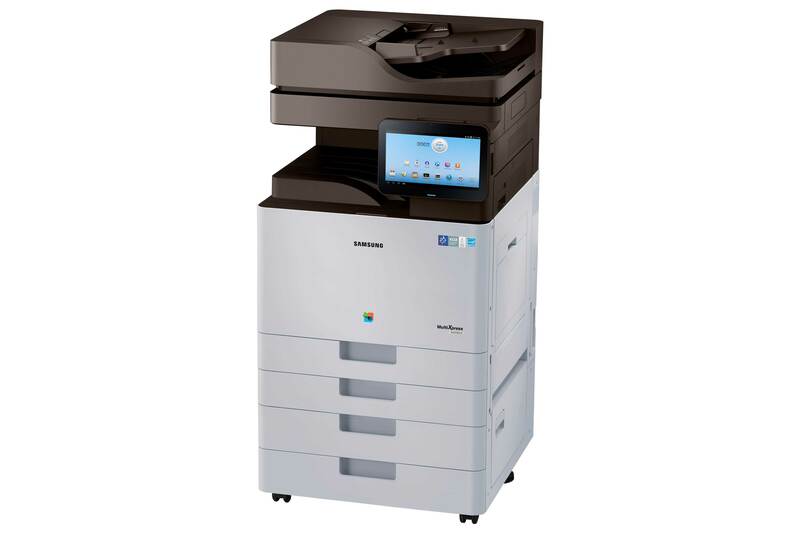 The most important aspect of an office printing solution are smooth running and constantly available devices. 100% up-time is still a way off, but the best providers are getting close to that. Smarter monitoring and management systems enable IT managers to prevent problems and alert service engineers of breakdowns immediately. In fact self help has also improved through the use of video tutorials, so that users can often fix their own problems. 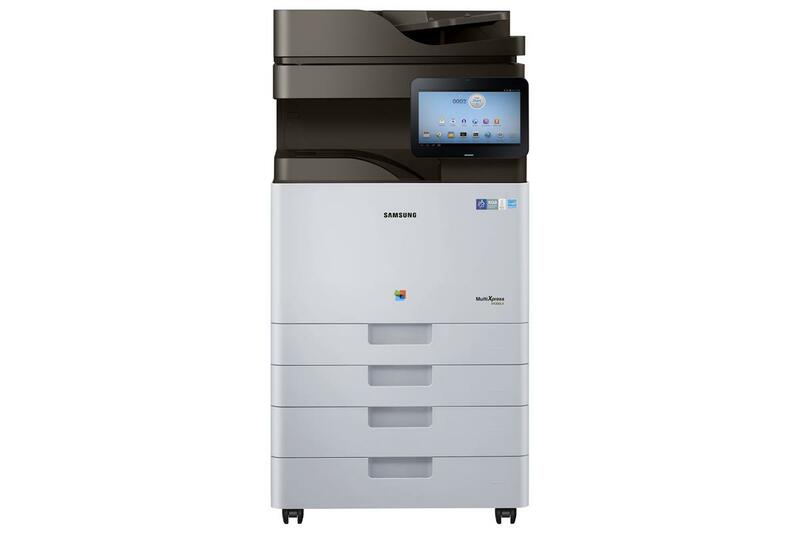 SAMSUNG SL-X4300LX – Up to 30ppm, 1GHz processor, NFC enabled and 10.1″ colour touch panel (tablet). Of course these printers have many more stunning features, which outshine the competition by a long shot. Detailed product brochures are available. Why not contact us for a free comparison of what you have on site versus the best in market!